GMIC, KABUL, AFGHANISTAN: Badakhshan Gold Mine and Balkhab copper mine contracts were signed recently in United States between the Ministry of Mines and Petroleum and the representatives of “Turkish Afghan Mining “ and “Afghan Gold and Minerals Company “, The bidding process of these two mines were announced in 2012. The Turkish Afghan Mining Company, which has signed the extraction contract of Badakhshan gold mine, has committed to invest $ 22 million in the first three years of exploration stage. Meanwhile, Afghan Gold and Minerals Company, which is the winner of the Balkhab copper mine contract, will invest $ 56 million in the first three years of the exploration stage. 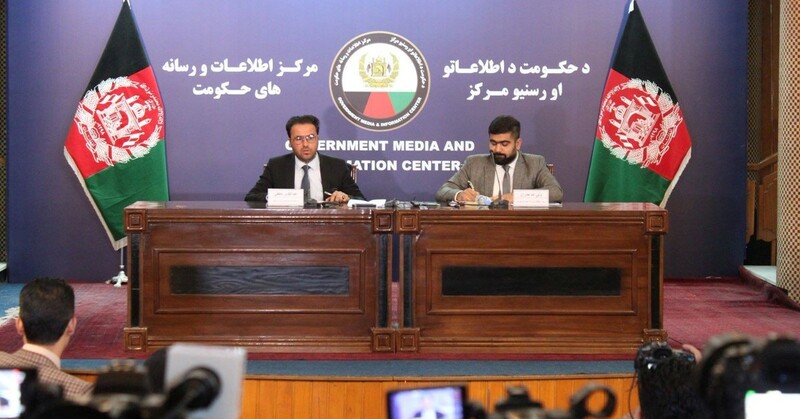 Addressing a press conference at GMIC, Abdul Qadir Mutfi, spokesperson for the Ministry of Mines and Petroleum said that all legal procedures and consultations of Afghanistan International & Legal Consultative Company are considered while finalizing the Badakhshan gold and Balkhab copper mine contracts. Mutfi added that the recent allegations by Integrity Watch regarding the conflicts of interests in these contracts is not credible and is baseless. He strongly rejected these claims and called on civil society and integrity Watch to stop any statements that is irresponsible and harms investment in the country. "The government assures transparency and accountability in extractive industries sector, especially important contracts, and welcomes the supervision of civil society organizations in this regard." said MoMP spokesperson. MoMP spokesperson Abdul Qadir Mutfi, and Legal Director of the Ministry Waliullah Zadran, explained all the legal stages from the bidding process to the finalization stage, to the media outlets in this conference.